If we’re going to have a proper conversation about design it’s important to be clear about how our design approach has evolved. This practice has always been driven by a love of design and, in particular, design which does ‘the right thing’ and does it as well as possible. From the very start, our work used evidence-based data to solve complex technical challenges and design the best creative solutions. This was seen in our early tensile and gridshell structures, such as the iconic Munich Aviary, and continues into present day projects like the staggeringly complex roof of the Louvre Abu Dhabi. What is clear, however, is that an ambitious design approach also has the power to disrupt. The work we do in the built environment, whether that be a cultural centre, university campus or the regeneration of part of a city, has an impact on people’s lives. So our experts, each with deep and specialist experience, have always aimed to improve on yesterday’s solutions. We have sought to use materials efficiently and make construction as easy and safe as possible, striving for passive design which avoids the use of natural resources, and minimising any negative impact on the environment. Today, the pivotal point for BuroHappold is the development of new tools, such as big data, coding and BIM, which have opened up a new view and provided more opportunities for us to achieve breakthroughs that have even greater impact. Some of the opportunities lie in being able to interrogate future scenarios for a project, using our findings to redefine the brief. As a result, our design process is now informed by data, computational analysis and human behaviour studies such as people movement, ensuring that built outcomes are about people and their experience of the built environment. This is what we are calling ‘Forward Integration’: people-centred design that disrupts conventional assumptions and inherited thinking. We see this in our work with sports stadia, where our analysis has revealed that, contrary to expectations, the spectator experience remains largely unchanged since the days of the Colosseum in Ancient Rome. 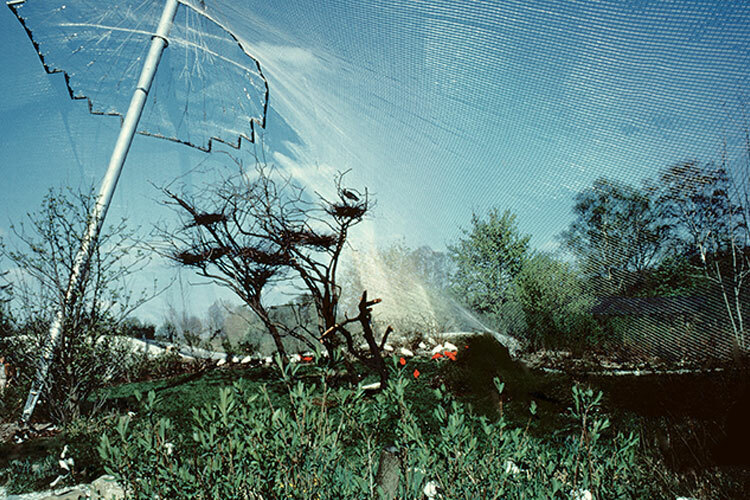 Munich Aviary – a complex lightweight tensile roof structure born from a deep understanding of materials and their function. 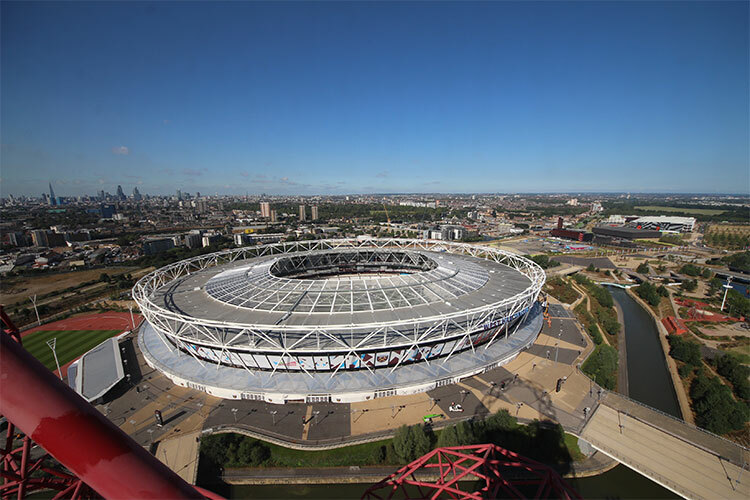 The London 2012 Olympic Stadium – the least amount of material used in any Olympic stadium; repurposed to provide a new home for Premiership football and athletics, remediated contaminated park; established most effective legacy strategy of any Olympics through intelligent infrastructure planning. Venue performance optimisation – minimum use of materials and resource to house increased number of spectators including the use of advanced people movement and acoustic predictive modelling to enhance atmosphere rating. As BuroHappold makes increasing use of technology-enabled and data-informed design, our work is becoming even more exciting. In a space where we are amongst the leaders in the field, the opportunities for us are immense. Being an entrepreneurial team, owned and led by people who do the work, we apply expertise to challenges that few can overcome. We are never satisfied with new ideas for their own sake, but focus on creating real value – through the type of innovation that makes the difference between competent delivery and transformation. When we started out 41 years ago, BuroHappold included ‘material scientists’; the challenge then was to understand materials – steel, plastics, fabrics, concrete, glass. We sought to exploit each material’s properties to the limit, exploring new forms and creating elegant, lightweight structures such as seamless long roof spans. Interestingly, our work now includes new specialisms, including digital design, data analysis, software development and coding. As engineers with curious minds, we were unsurprisingly early adopters of the new analytical and computational tools. Able to calculate design efficiencies for higher performance buildings that would save clients millions in construction and running costs, we have been empowered to view projects more holistically. More recent developments such as augmented and virtual reality are now enabling us to take this even further, experiencing environments that are as yet unbuilt. And this year was the first time we have been commissioned exclusively for the data management of a large project. This approach imbues projects with ecological and sustainable values, delivering buildings that ‘tread lightly on the earth’ in a variety of ways including natural resource conservation, integrated infrastructure, and optimum material selection and constructability. By combining this with deeper health, wellbeing and productivity strategies, the results are proving to be even more effective. As a practice, we are committed to unlocking the full potential of people-centred, data-informed design. We now have a substantial, focused investment budget for this, and our Technology Steering Group has been charged with guiding its deployment. More than a third of our people are now part of our Computational Collective, contributing daily to our code library. We believe that our technological expertise means we are best placed to handle the interface between the concept and the construction. Forward Integration is about ensuring we are further empowered to challenge, create breakthroughs and continue to redefine the conventional view of engineering over the next decade. Whether working at building, campus or city scale, the ability of our Smart Space team to capture data and use predictive modelling to visualise the effects of design decisions ensures that we create dynamic spaces that we know will work for the people within them. 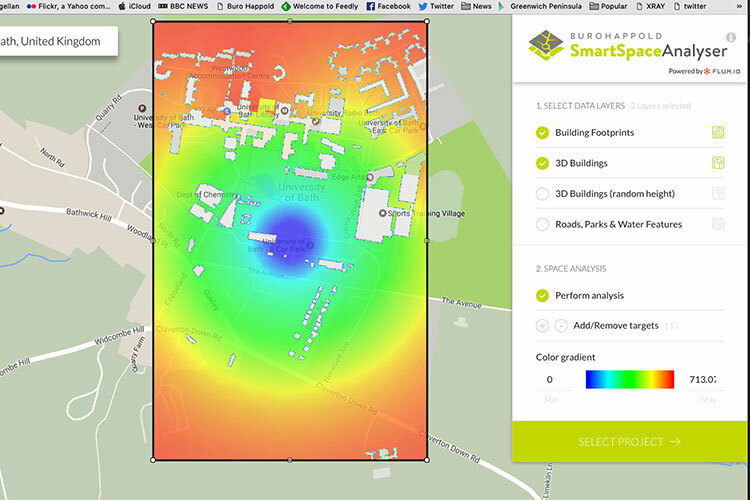 Real-time masterplanning is on the horizon through our collaboration with Flux, launching a beta version of the SmartSpaceAnalyser app on the Flux app store. 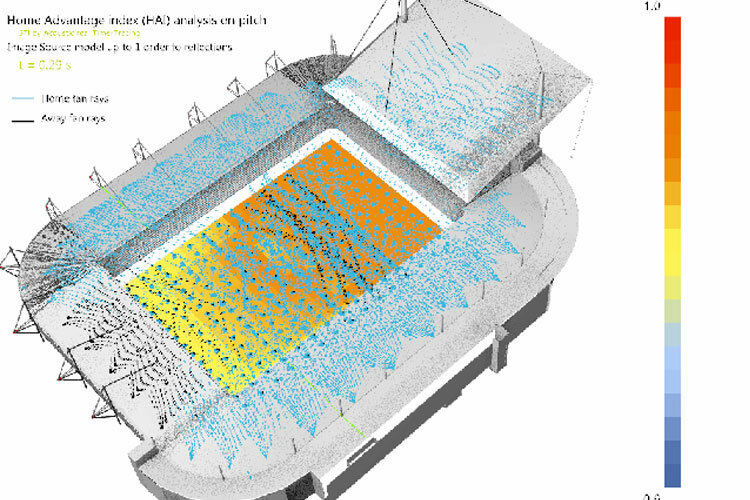 We are using fan-generated sound analysis modelling to maximise stadia design for the home advantage.